The Big Payback – Chapel Hill Street Fight Main Event! CWF Mid-Atlantic returns to the Hargraves Community Center in Chapel Hill, NC for “The Big Payback” on Saturday, March 10th! The main event will be a rematch from the last event in Chapel Hill, as Snooty Foxx looks for revenge against Arik Royal and The All-Stars. When the two fought previously in Chapel Hill at “Mama Said Knock You Out”, Royal pinned Foxx after a brutal brass knuckles shot to the head. While Foxx had legally retrieved the “Brass Knuckles on a Pole”, Royal was thrown an illegal pair of brass knuckles from the All-Stars’ personal ring announcer, “The Voice” Jarry Caray, and proceeded to KO Foxx for the tainted win in Foxx’s hometown. A riot broke out after the bell sounded and the fans realized their hero had been cheated out of his rightful victory! 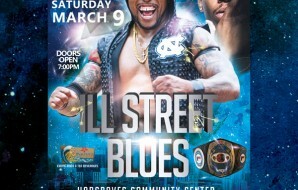 It’s sure to be another riot in Chapel Hill on March 10th as the rematch will be a “Chapel Hill Street Fight”! This anything goes battle will give Snooty Foxx the opportunity to give his own brand of payback to Arik Royal and any All-Star that he can lay his hands on! More matches to be announced as we approach March 10th! 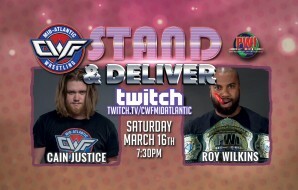 Fans in or near Chapel Hill can pick up tickets by calling 919-923-5419 or you can purchase your tickets online at cwftickets.com.